Last week, the Newbury, Massachusetts police station received several calls from residents complaining of strange sounds coming from nearby farm. Upon investigating, the police found the source of the noise: female dairy cows who were bellowing and crying after having been separated from their calves at Sunshine Dairy Farm. 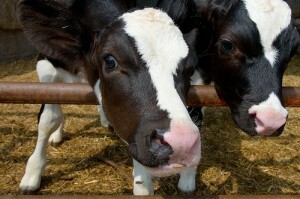 Reported Strange Noises were Mother Cows Crying for their Calves | Compassion Over Killing.